Call of Duty and Battlefield have dominated the chart for first-person shooter series narrowing down the universe to a two-horse race. A battleground is always staged with each and every spell of installments. In most occasions, the winner has never been obvious, both franchises have enjoyed success and failure in equal magnitudes. A showdown has been staged once more as the Christmas period advances, both parties have sent out a soldier-‘Call of Duty’ is staging ‘Infinite Warfare’ while ‘Battlefield’ series has staked ‘Battlefield 1’. However, this year’s contest might not be as epic as always, the former is already facing its fair share of failure which could mean a walk in the park for ‘Battlefield’. According to several tech analysts, sales of hard copies of Call of Duty latest entry, Infinite Warfare, has declined by an eye-popping 50 percent compared to last year’s installment, ‘Black Ops III’. On the other hand, direct competitor Battlefield series is enjoying remarkable success with the latest title ‘Battlefield 1’ registering a record breaking demand, in fact, the number of active users in the first week is somewhere near the neighborhood of double the number met by ‘Battlefield 4’ in a similar period. As the developer DICE says, the installment is the biggest in the company’s history, outstripping all other Battlefield entries plus ‘Star Wars Battlefield’. However, the year-over-year sales decline which is said by analysts and reported by sites is not as worse as said. It has come to understanding that analysts are majoring on Call of Duty performance based on disc sales not factoring in users who have sourced the popular game via digital platforms. If these acquisitions are taken into account the decline will not be as worse as reported though still not as good as expected. The franchise has been slammed for consistently basing its games on imaginative setting rather than centering titles on actual historical events that were its cash cows in the past – it has now gone six straight years building titles on futuristic settings. The root of these stories can be traced and narrowed down to two sources. First, early last month a sale analyzing company in UK and Ireland, Gfk reported that the sales for ‘Infinite Warfare’ declined by 48.4% compared to the franchise previous entry, Black Ops 3. Secondly, a pair of Wall Street analysts alleged that Call of Duty registered a YoY decline of about 50% grounding their argument on hoarded NPD data. However, all the sources though asserts a universal figure of about 50 per cent, none takes into account digital sales instead base all facts on physical sales via retail outlets. Using physical disc sales to rate a game is a real mess, for instance, for every gamer who acquired a ‘Black Ops 3’ hard copy but purchased ‘Infinite Warfare’ digitally-which is a repeat sale-is now considered a loss. While those who never purchased ‘Black Ops 3’ at all but landed ‘Infinite Warfare’ via a digital platform is totally left out of the tally which shouldn’t be the case. At the moment, there is a large number of gamers drifting from physical disc acquisition to digital download. Which means as people cross every year, the allegedly declining YoY sales will always be increasing. And provided sources continue ignoring the platform, there will be always no specific figure of decline or increase of any game sales. Thus, with all pertinent data considered, it is fair to say the 50 percent Call of Duty sales decline is an exaggeration. Nonetheless, there is no doubt gamers were more than disappointed in the latest instalment. 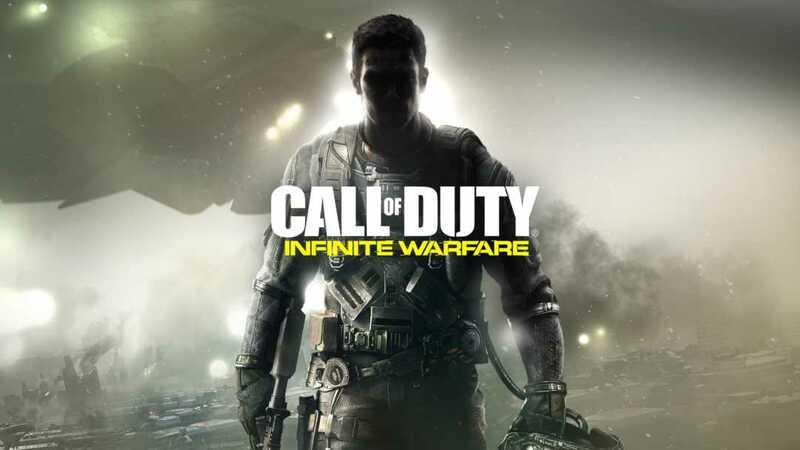 If you can recall, early this year when the two titles were announced, the overall fans sentiment clearly showed ‘Infinite Warfare’ did not meet expectations. The title’s demo was met with punitive feelings while ‘Battlefield 1’ was given a warm welcome. YouTube ratings for both footages says it all, ‘Battlefield 1’ garnered a total of 2 million likes, with a trivial dislikes less than 40,000. In contrast, Call of Duty Infinite Warfare managed to amass a disappointing just over 550, 000 likes against a whopping 3.4 million dislikes and the numbers have been reflected on the actual games sales.